It is a fact; the people from Belorado already have their own Special Plan for the Camino de Santiago, which will allow the town hall streamline procedures and greater independence to protect the passage of the pilgrimage route through the town both in urban and rural areas. The Camino security plan has been a journey full of obstacles until the final approval yesterday by the Ministry of Development and Environment of the Junta de Castilla y Leon, who has published in its Official Gazette. 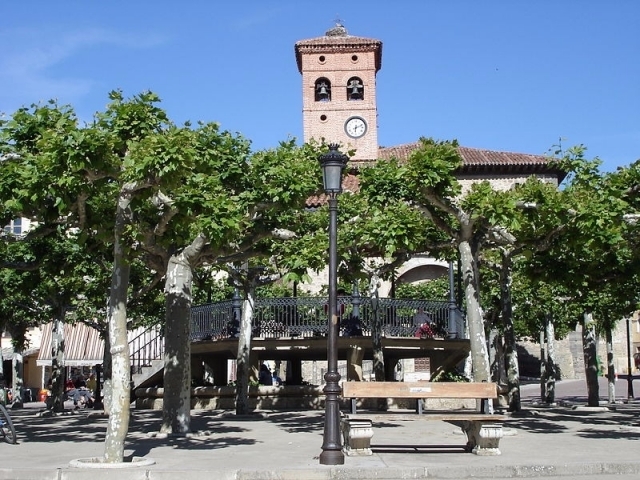 Now the town hall of Belorado can control public actions to not interfere in the Camino passing through the town, a source of vital revenues. With the Special Plan may outline a plan of protection around the pilgrimage route, which among other things establishes a perimeter of about 100 meters wide on either side of the path in rural areas. Belorado is located in a privileged spot in the route of the French Way, attracting thousands of pilgrims from all over Europe who do not stop coming throughout the year thanks to the busiest pilgrimage route. The town marks the end of stage regarding Santo Domingo de la Calzada and start regarding Agés, and has at least 10 accommodations for pilgrims. Belorado economy is increasingly dependent on the services sector, already forming part of its historical past the missing fur industry.